sasashoppingcart Great seller to deal with! Prompt delivery! Item delivered as described Punctual! Pleasant transaction! Speedy replies Thank you! @casey.1 is on Carousell - Follow to stay updated! Purple skirt with pink belt. Fitted and fully lined. Pockets are decorative only. 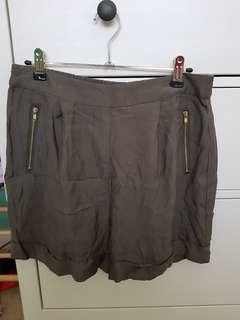 AUS size 6 Never worn (as stopped working in corporate). Happy to post if buyer covers postage cost. Or you can pick up from Monash University (Clayton campus). 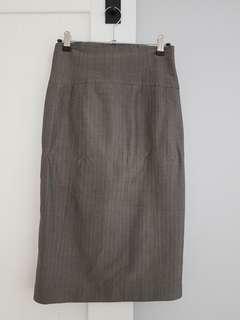 Ladies pencil skirt with grey pin stripe pattern. Fitted and fully lined. Ladies size 6 from Ojay. Only worn 2-3 times (as stopped working in corporate). Happy to post if buyer covers postage cost. Or you can pick up from Monash University (Clayton campus). 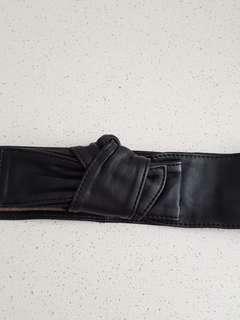 Ladies leather belt - genuine leather. Purchased new but never worn. 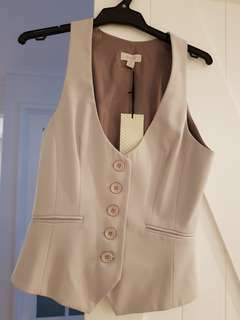 Ojay brand ladies fitted vest in size Aus 8. New and never worn (still with the tags). Colour is light sandy grey. 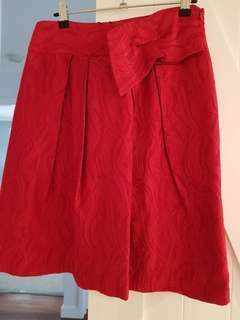 Has matching knee-length skirt - see my other listing. 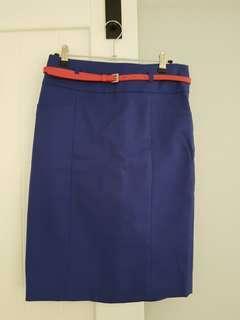 Ojay brand ladies knee-length skirt size Aus 8. Colour is light sandy grey. Only worn once. Has matching vest - see my other listing. 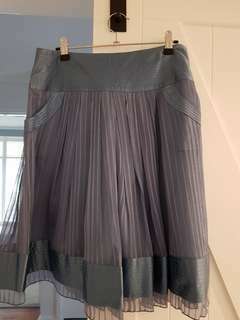 Diana Ferrari skirt in size Aus 10. Colour is cornflower blue. Outside part is silk with a lining underneath. Has pockets and decorative buttons. New and never worn (still with the tags). Bought a size too big and couldn't return. 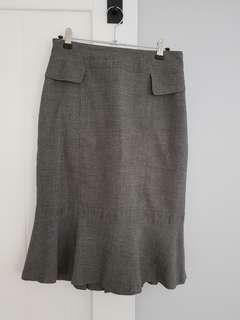 Cue Sweetheart skirt size Aus 10. New and never worn (still with the tags). Bought a size too big and couldn't return. Skirt is fully lined and has pockets. Photo doesn't do it justice but colour is fuschia pink. 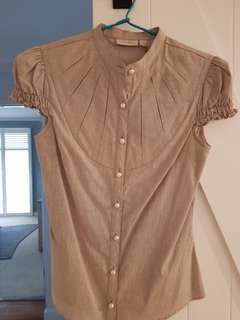 Ladies blouse in Aus size 6. New and never worn (still with the tags). 96% cotton, 4% elastane. 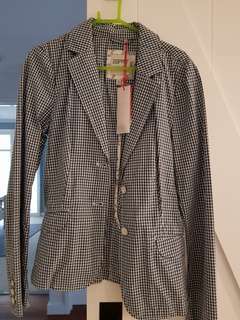 Fitted ladies jacket. New and never worn (still with tags). Bought a size too big and couldn't return. 100% cotton. Stride Rite toddler shoes with animal print. Size EU 19.5 / AUS 1-2 years. Used but very good condition. Smoke-free home. Pick up from Chirnside Park area or Monash University Clayton (after 11 Jan). Will post but postage is extra cost. Target brand girls bathers / bathing suit. Size AUS 000 (0-3months). Used but excellent condition as daughter grew out of them quickly. Pick up from Chirnside Park area or Monash University Clayton (after 11 Jan). Will post but postage is extra cost. Havaianas - Disney (Minnie Mouse) Size 17-18EU (AUS size 1-2) for infant aged 0-6 months. Worn once so in very good condition. Pick up from Chirnside Park area or Monash University Clayton (after 11 Jan). Will post but postage is extra cost. Size 1 girls summer dress with matching bloomers. New with tags. Pick up from Mooroolbark area or Monash University Clayton (after 11 Jan). Will post but postage is extra cost. Peter Morrissey baby outfit size Aus 00. Top and leggings. New never worn. Pick up from Mooroolbark area or Monash University Clayton (after 11 Jan). Will post but postage is extra cost. Peter Morrissey baby top size Aus 00. New never worn. Pick up from Mooroolbark area or Monash University Clayton (after 11 Jan). Will post but postage is extra cost. Willow and Jag bolero/ jacket - size Aus 000. New with tags- never worn. 100% cotton. Pick up from Mooroolbark area or Monash University Clayton (after 11 Jan). Will post but postage is extra cost.